Year round outdoor heated pool. 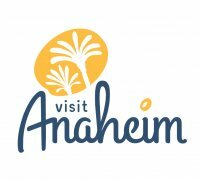 The Choice for Anaheim Hotels near Disneyland® Resort and Anaheim Convention Center. The Clarion Hotel Anaheim is a full service hotel located just one block from the Disneyland® Park and steps away from the Anaheim Convention Center. This Anaheim hotel is a "10 Time Gold Award winner from Choice Hotels International", the most prestigious award for excellence in cleanliness and customer service. We offer 284 spacious guestrooms, FREE Wi-Fi access throughout, a year round heated outdoor pool, fitness center, onsite dining, Sports Bar, gift shop, game room and 7,000 square feet of meeting space. The Anaheim Resort Transit shuttle conveniently picks up guests in front of our hotel and drops them off steps away from the Disneyland® Park Main Entrance (Nominal Fee). This friendly, affordable hotel near the Anaheim Convention Center boasts an excellent location with comfort and personalized service whether you are attending a convention or here for your family vacation. Take advantage of our Kids Eat Free program for Breakfast and Dinner (children 9 and under). Ask your server for details upon placing your order! Terms & Conditions apply. This hotel is accessible and has a pool lift. Airport Transfers to/from the Clarion Hotel Anaheim Resort...Click Here!